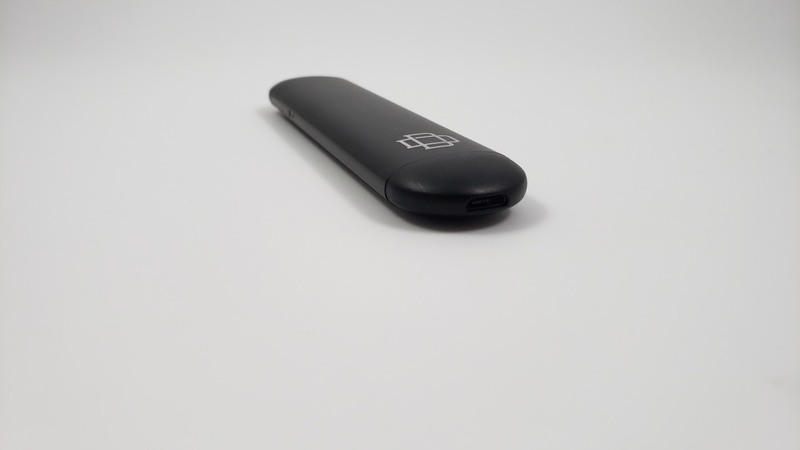 It’s just a stick device, so it’s not what I would consider to be extremely stylish or anything, but it’s about as stylish as a stick-style pod device can be. The paint and finish on the Lyfe Pod is really nice, the edges are rounded, and it’s pretty thin. One one side you have a symbol that looks like two letter D’s. It’s the same symbol on Augvape’s Druga mod, but I have no idea what that means. On the other side is a steam tugboat and the words “Tug Lyfe”. The reason for this is because this is a collaboration between Flawless and Augvape, so that’s pretty cool. The Lyfe Pod device is about 4 inches tall, 1 inch wide, and less than a 1/2 inch thick. It’s pretty small, so I like that. You get refillable two pods in the box, which is nice. 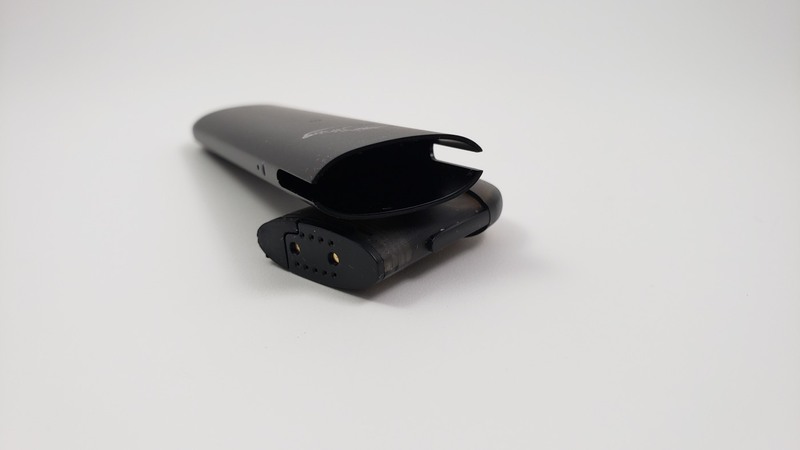 The pods have a 2ml capacity and contain a 2.0-ohm horizontal coil. They click into place on the device securely, so you don’t have to worry about the pod falling out. The fill port is on the bottom of the pod. Just pull out the plug and fill it up. The fill hole is a little small so you’ll need a fine-tip bottle to fill it up. The airflow is nice and restricted, so it’s great for a tight draw. It’s a lot like the Juul if you want something to compare it to. The battery is a 300mAh battery. That seems to be pretty standard for pod devices of this size. I think it’s probably about as big as you can fit in such a small package. The Lyfe device has decent battery life from what I’ve found. You should be able to get through a day or two before it dies. To charge the device, you plug the micro USB cable into the bottom and you can’t vape while it’s charging. The one safety protection I would have liked to see is reverse intake, which I’ve started seeing on newer pod devices lately. That basically just protects the device from malfunctioning when someone blows into it. I wouldn’t say it’s a common problem, but other devices have had issues like auto-firing because of it, so it would have been a good feature to include. Because of the shape and flatness of the device, it’s really comfortable to use and carry around. It looks and feels like a quality device too. The biggest issue I’ve found is that I constantly find myself taking hits off of the end with the USB port because it’s so hard to tell which end is which! But the flavor is good and it performs well. This was sent to me for review from Augvape.com. If the Lyfe pod device is something you’re interested in, here are few sites selling it (affiliates).